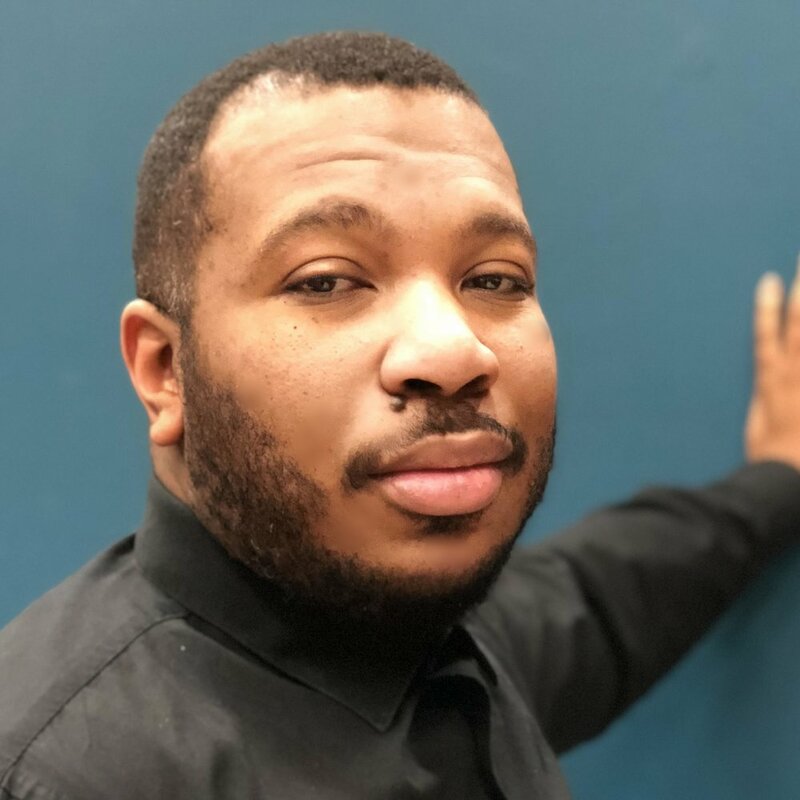 Ardencie is an associate professor of English/Theatre Arts at the Community College of Philadelphia and an adjunct professor and the director of Theatre Arts at Cheyney University of Pennsylvania. An avid professional artist, Ardencie co-founded and leads Arden Blair Enterprises, LLC (ABE), a Philadelphia-based entertainment company which houses several subsidiaries ranging from theatre to handmade African-diaspora inspired home crafts. She has worked as a college professor, professional actress and director for 20 years; as an actress, she performed in NYC at The Public Theatre, Theatre for The New City (TNC), P.S. 122 and other theatres in the city; in 2011, “Ain’t Nobody…A Civil Right Musical,” conceived, composed, and directed by Ardencie, was presented at TNC by her theatre company, Kaleidoscope Cultural Arts Collective (KCAC). Most recently (2016), Ardencie wrote and directed “#ALL LIVES DON’T MATTER,” presented at the Klein Theatre (PHILA) at the historic Church of the Advocate, directed and designed costumes for “The Art of I AM,” presented at United Solo Theatre Festival at Theatre Row (NYC), Painted Bride Performing Arts Center (PHILA), and Venice Island Performing Arts Center (PHILA) as part of the THINK, CREATE, INSPIRE Theatre Festival. She, in 2015. directed and designed Flyin’ West and Wine in the Wildness presented at the historic Walnut Street Theatre-Studio 5 (PHILA). She adapted, scored, and directed “Lysistrata, Cross Your Legs Sister!” presented at Community College of Philadelphia in fall 2014. In 2015, ABE Publishing published her book, The Actor’s Tool Kit available through Amazon and Barnes and Nobles Booksellers. ABE Publishing just released a cookbook she co-authored entitled, Not Your Grandmother’s Table also through Amazon, and that corresponds with the Facebook page of the same name. Ardencie co-produces, writes, and hosts a program on the Emmy-nominated CCPTV entitled “The Market,” which explores historical and noteworthy topics from the African diaspora. Launching in 2016, “The Market” has been awarded an International Telly Award, and two Communicator’s Broadcasting Awards in the areas of Educational and Social Awareness Programming. Shahida is the Executive Producer and partner of Arden Blair Enterprises (ABE) and Kaleidoscope Cultural Arts Collective (KCAC). She credits Freedom Theater's renowned Performing Arts training Program as the honing ground of her talent. There she studied vocal music performance and theatre. She graduated from Community College of Philadelphia with an Associate Degree in Communication with a Concentration in Theatre Arts. She went on to receive a BA in Mental Health at Hahnemann University and a MA in Health Administration from St. Joseph’s University. She is also a Director of Case Management in the mental health field. Shahida has studied dance at various dance studios and modeled for Unique Blend Models where she embraced the runway for various clients including Ashley Stewart. Her credits include “Idiot’s Delight,” “A Raisin In the Sun (Mama),” “Ain’t Nobody Gonna Turn Me Around, ” “Learning to Swim A Taste of Sisterhood,” and “Drama Therapy.” The arts have always been her passion as well as helping others grow to reach their personal achievements and she continues to strive to embrace her journey. Courtney, a native of Philadelphia, PA, is the Director of Talent and Marketing. She has had a strong passion for music and theatre since the age of 8. She continued to pursue her passion through training and many performances in high school. In 2003, She was accepted into the Acting Program with the "Rising Star" Scholarship at the University of the Arts in Philadelphia, PA. During her tenure, she continued to further her training in vocal performance and theatre, striving for excellence. She graduated with a Bachelor of Fine Arts in Theatre in 2007. She has been in productions at the New Freedom Theatre, was featured in the Reality show “Sweet Retreats” Produced by the Live Well Network, (a network owned by ABC/Disney), as well as being featured in the 2018 Emmy Nominated documentary, "Unchained: generational trauma & healing. She also is an accomplished background vocalist and has had the honor and pleasure to work with artists such as Tara Hendricks, Heston, and Carol Riddick to name a few. She has also been featured in a few independent short films in her hometown. In 2011, Courtney started working with Kaleidoscope Cultural Arts Collective when she joined the Cast of “Ain’t Nobody” under the direction of Dr. Ardencie Hall-Karambe and performed in the show for two years. Courtney continues to sing in various shows throughout the Tri-state area, work in the studio recording with various artists, and perform in productions. She looks forward to continuing her work with Arden Blair Enterprises and KCAC. Well-traveled and diversely educated through AmeriCorps NCCC, and other similar programs, Warith brings this diverse skill set to A.B.E. with excitement and precision. Discovering a passion for theatre in 2013, through the tutelage of Dr. Hall-Karambe, Warith progressed from student to company to board member. Among the many other hats this hard-working member wears, he also contributes his carpentry skills as the Technical Director for KCAC. Warith combines construction tech with his passion for theatre helping to bring the productions to life. Growing, learning, and collaborating with a wide berth of artists, he uses his unique combination of skills to bring the director's vision to the forefront. Warith aims to give accent, depth, and life to a production's conceptional ideals through his work as a designer and, sometimes, actor.